It is a special week here at Eclectic Lamb. Imaginary creature week! Each day this week (Monday – Friday) I will feature a bento lunch with a different imaginary creature. Please be sure to follow this blog so you don’t miss out on any of the fun. First up… the Mermaid. 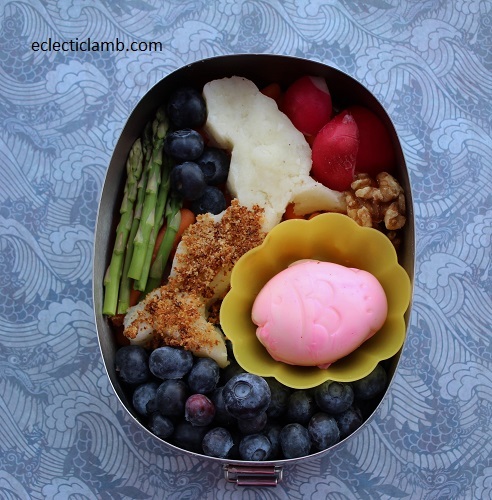 This lunch was fun to make with a cookie cutter and egg mold. This entry was posted in Bento / Cute Food, Food and tagged Cookie Cutter, ECO Lunchbox, imaginary. Bookmark the permalink.